Eastnor born, Allen Hart was the son of Sidney Hart who ran a poultry and game business from Smithfield, Link Top. Allen Hart first served with the 1/8th Worcestershire Regiment was gassed on 20/7/16 and evacuated to a convalescent hospital at Cayeux on the coast. On 8/12/16 he, along with 150 others were transferred to the 1/7th Battalion to make up the losses suffered during the Somme campaign. He served with the 1/7th Battalion throughout the winter of 1916, the Passchendaele Offensive of 1917 and when the division moved to Italy. 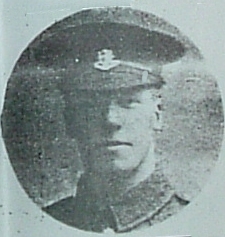 Albert Hart was killed in June 1918 during an Austrian attack on the British lines. Hart’s brothers who were killed were Sidney John, and Walter Reginald.